KATHMANDU, Dec 15: Seventy-eight percent of CPN-UML candidates and 58 percent of CPN (Maoist Center) candidates have won the recently concluded parliamentary and provincial assembly elections across the country. 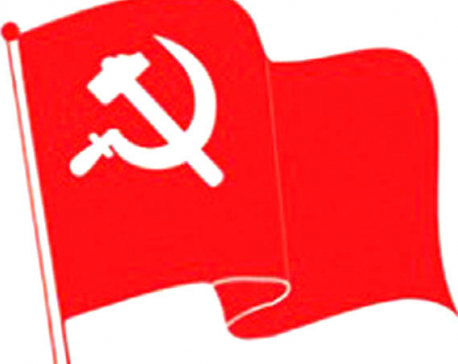 The two parties which had formed the left alliance had agreed to allocate 60 percent constituencies to the UML and the remaining 40 percent to the Maoist Center while fielding their candidates. Of the total 165 constituencies, UML had fielded its candidates in 102, including two independent candidates, and the Maoists in 62 constituencies. The left alliance didn't field its candidate in Jhapa-3 to support Rajendra Lingden of the Rastriya Prajatantra Party. Of the total 102 UML candidates 80 (78 percent) made it to the House of Representatives while 36 of 62 Maoist candidates won the polls. The UML-Maoist alliance succeeded in getting all their candidates for parliament and a provincial assembly elected in Province 6 except for a candidate of UML losing poll for provincial assembly from Humla (b). Similarly, the alliance won most constituencies of Province-7 and Province 4 in both parliamentary and provincial assembly polls. Of the 18 House of Representatives constituencies in Province 4 and 16 in Province 7, the alliance was defeated in only two constituencies of each of the two provinces. None of the UML candidates for federal parliament lost election in Province-4, while Maoist candidates in Gorkha-2 and Nawalparasi-east failed to win the poll. But UML provincial assembly candidates also emerged victorious in all the constituencies except in Manang (a). Likewise, Maoist candidate in Dadeldhura and UML candidate in Kailali-1 lost the election against Nepali Congress (NC) and Rastriya Janata Party Nepal (RJPN) respectively. Of the total 22 parliamentary constituencies where UML candidates were defeated, most lie in Province 2. UML has lost in 12 constituencies in Province 2, including one candidacy scrapped by the Election Commission (EC), four in Province 1, three in Province 5, two in Province 3 and one in Province 7. Similarly, Maoist center has also lost most seats in Province-2 followed by Province 3 and Province 5. None of the Maoist candidates in Kathmandu district emerged victoriously. But the alliance got good results for both parties in most of the other districts except in Province 2.